Cemetery Girl opens with Caitlin's father Tom explaining that his daugher disappeared four years ago at the tender age of twelve. He goes on to recount a day when she was just six, and lied directly to his face, without so much as a twitch or expression of guilt. Tom wonders about the circumstances of Caitlin's disappearance six years later and wonders if she could have run away. Tom's wife Abby believes her daughter is dead and makes arrangements to hold a memorial in her memory. Their daughter's disappearance has devastated their marriage, with Abby seeking solace in her church. It is at this time, that Caitlin is found dirty and dishevelled, walking beside a deserted road and taken swiftly to hospital. 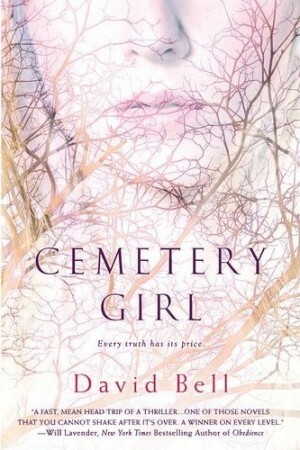 The majority of Cemetery Girl is around Caitlin's return and Tom trying to find out where she's been for the past 4 years. The reaction of her parents couldn't be more different and as a reader it made for interesting reading. What made this book even more fascinating for me was the recent case in America of Ariel Castro's abduction of Amanda Berry, Gina DeJesus and Michelle Knight. In finding out about Caitlin, I was also thinking of these three women in real life and searching for answers. Unfortunately I found that while the pace and suspense was great throughout the novel, the ending was somewhat of a let down for me. Thanks Shelleyrae, the premise was very good, and I'd been looking forward to reading it for about 2 years!